Amazon is known for being very stringent in how they regulate their sellers. 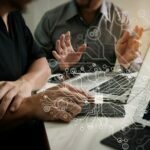 The e-commerce giant imposes this strict way of conducting business after placing its main focus on delivering the best experience to shoppers and sellers alike. In its mission to maintain the marketplace’s high quality while catering to its monthly site visitors, Amazon is monitoring all merchants, around-the-clock, to ensure their selling practices are followed. It is extremely stressful for Amazon sellers when/if they receive a letter of suspension from Amazon. What does suspended mean? On Amazon, getting suspended translates to losing selling privileges among sellers, and this is not uncommon. It’s actually more prevalent than you can imagine. Why is this so? The main reason for Amazon seller suspension is that many are simply unaware that they are doing anything wrong or breaking any rules. Many sellers are able to quickly rectify the issue after they are notified. • Order Defect Rate (ODR) – the percentage of defective orders out of the overall number of orders made. This should always be less than 1 percent. • Cancellation Rate – the percentage of seller-initiated cancellations of seller-fulfilled orders, over the total seller-fulfilled orders within the same time period. Aim for a cancellation rate to be less than 2.5 percent. • Late Shipment Rate – the percentage of the number of confirmed shipments after the expected ship date, divided by the total number of orders. Keep your late shipment rate lower than 4 percent. • Valid Tracking Rate (VTR)* – the percentage of US shipments that have valid tracking numbers. North American sellers are required to hit a target of 95 percent VTR. • On-Time Delivery – the percentage of seller-fulfilled deliveries received by their buyers within the expected delivery date. • Return Dissatisfaction Rate (RDR) – the percentage of valid return requests with negative customer feedback or got incorrectly rejected or responded late. • Customer Service Dissatisfaction Rate (CSDR) – percentage of customers who are not happy with how you respond to inquiries in buyer-seller messaging. Amazon prohibits its sellers to list certain products and product categories on its marketplace. It is also related to Amazon’s mission to make the platform a safe environment for customers to purchase from. A complete list of restricted products to sell on Amazon can be found here. It is always wise to get ahead of all of these Amazon policies to keep your seller account from losing selling privileges or worse, getting banned altogether. If you did get a letter of suspension from Amazon, you can always appeal your case by sending them back an Amazon appeal letter. 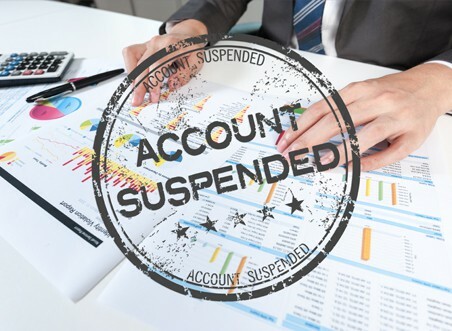 Knowing the exact reasoning behind your suspension is the first step in making that appeal, as Amazon requires a plan of action if they decide to reinstate your seller account.